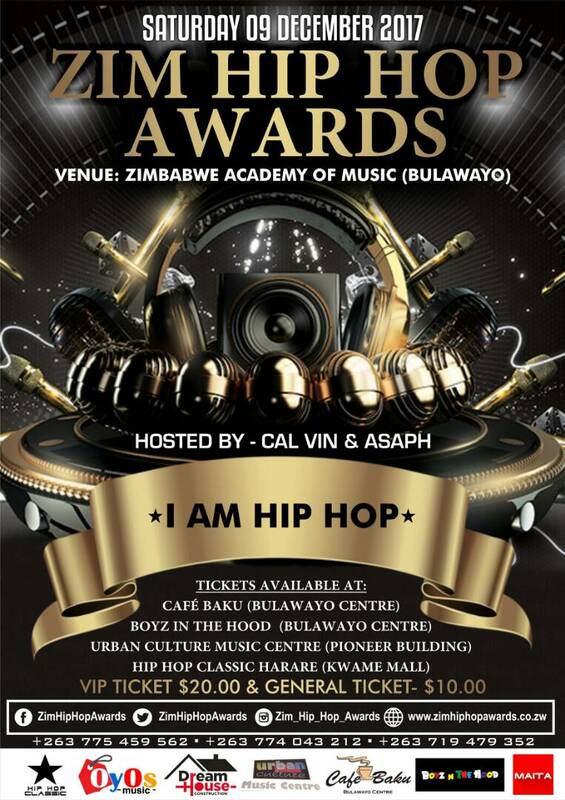 In a bid to decentralize the genre,this year's ZimHipHop Awards will be held in BULAWAYO so it was only right that two of the city's biggest rappers play host for the ceremony.The Boy Asaph who is currently pushing his 25 album and Cal Vin who will release Revenge Of the Vin sometime in December will host the awards showcase that is slated for the Zimbabwe Academy Of Music on the 9th of December. 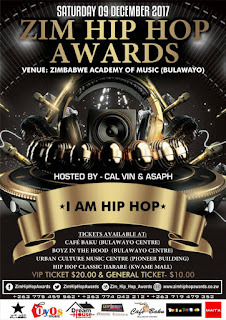 Nominations for the awards were released earlier this month to very mixed feelings as some felt a lot of deserving albums and artists were disregarded.Some notable absentees can probably be alluded to the Academy's nomination criteria which demands that rappers submit their works to be considered for an award so speculation is rife that some rappers didn't submit.Peep the nominees below and feel free to tell us which artists you feel were slighted. •Briss mbada – King Solomon.